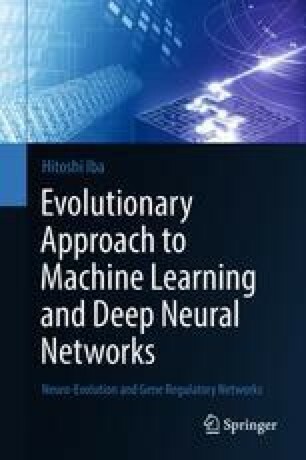 Gene regulatory networks (GRNs) described in this chapter are recently attracting attention as a model that can learn in a way similar to neural networks. Gene regulatory networks express the interactions between genes in an organism. We first give several inference methods to GRN. Then, we explain the real-world application of GRN to robot motion learning. We show how GRNs have generated effective motions to specific humanoid tasks. Thereafter, we explain ERNe (Evolving Reaction Network), which produces a type of genetic network suitable for biochemical systems. ERNe’s effectiveness is shown by several in silico and in vitro experiments, such as oscillator syntheses, XOR problem solving, and inverted pendulum task. All life is problem solving. I have often said that from the amoeba to Einstein there is only one step.